Motorpoint Marks Resumption of MG Production with one for £9,999. Motorpoint has marked the return of MG production to Longbridge by offering an extremely rare Longbridge assembled MG TF LE500 for only £9,999. The car supermarket has been a long-standing supporter of the MG brand, and decided to celebrate the resumption of production at the famous Birmingham plant this week by offering savings of over £6,300 on the original list price of this car. 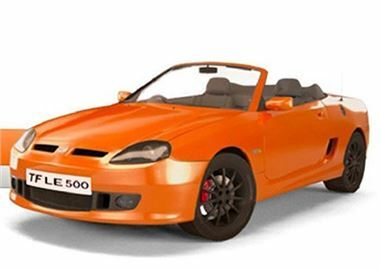 The MG TF LE500 is a heavily re-worked special edition of the well-loved original sports car, packed with extras such as 16” alloy wheels, leather seats and metallic paint as standard. Furthermore, the suspension and brakes have been updated and the engine re-worked to meet new emissions targets whilst losing none of the models punchy performance.